Over the years there have been some pretty nasty, bigoted housemates in both Big Brother and its celebrity version. Yet could any of them really outdo Hitler? That's the central conceit of Hew Rous Eyre and Max Elton's Big Brother Blitzkrieg - Hitler in the Big Brother house. He awakens after a failed suicide attempt (seventy years later?) to find himself in the primary coloured house, complete with diary room, omniscient voiceover, and some very obnoxious housemates. From there...well not a lot happens. It's as if the two writers came up with a funny idea, but didn't know what to do with it. It may have been written in response to anti-politics and celebrity culture, but really this is an absurd comedic concept that simply delivers a handful of giggles. 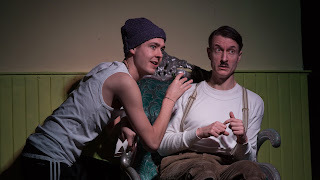 Hitler's five modern day housemates are little more than tired stereotypes - there's camp homosexual Felix (Neil Summerville); dim wannabe rapper M-Cat (Kit Loyd); hippy sound-bite spouting Charlie (Hannah Douglas); bitchy and controlling Lucy (Jenny Johns); and the boring but Jewish (of course) Rachel (Tracey Ann Wood). Are these people really meant to be as equally abhorrent as Hitler? Is being gay, or Jewish, or a bit thick really such a crime? And when the housemates clearly don't want to be part of the reality show, there's little narrative reason for their involvement beyond serving the concept. What's more, Stephen Chance's camp and eccentric Hitler shows little of the charisma or leadership that we're meant to assume made him a great leader, beyond a bit of easy manipulation. Almost everything is played for laughs, without making a serious point. Towards the end, Felix states his concerns that they've become boring and have failed to entertain. This is meant to be a comment on his desperate desire for celebrity status, but in reality he - and the rest of the characters - are right to be worried. 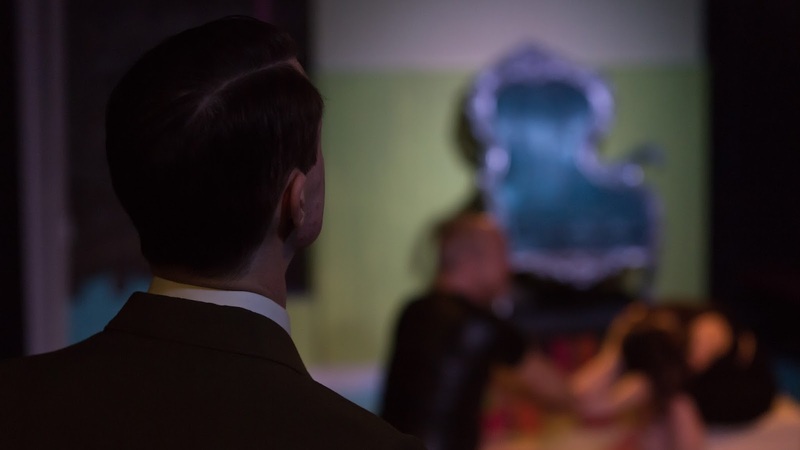 Watch: Big Brother Blitzkrieg runs at the King's Head Theatre until 30th January.